The SONIC CRUISER FUN Skate! Great little Shoe style skate has lots of comfort and padding just like a running shoe! 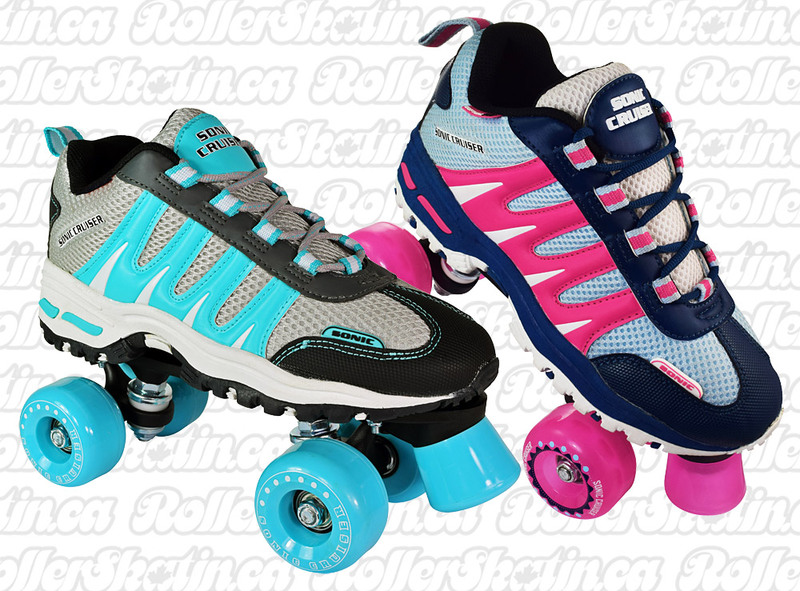 Features Ballistic nylon uppers, reinforced nylon eyelets, soft terrycloth lining, nylon plates and trucks, 60mm High Rebound urethane indoor/otdoor wheels, ABEC 1 bearings, non adjustable toe stops. Perfect for beginners child to adult, Select the available sizes in PINK or TEAL in the Pull-Down menu! sizes 5 and up are based on a mens last so Ladies choose one down ie. Size 8 Mens = size 9 Ladies.